With only a little over a week before the holidays, there's nothing I love to do more than to transform my apartment into a beautiful winter wonderland and to infuse my home with whimsical glitters and understated glam. 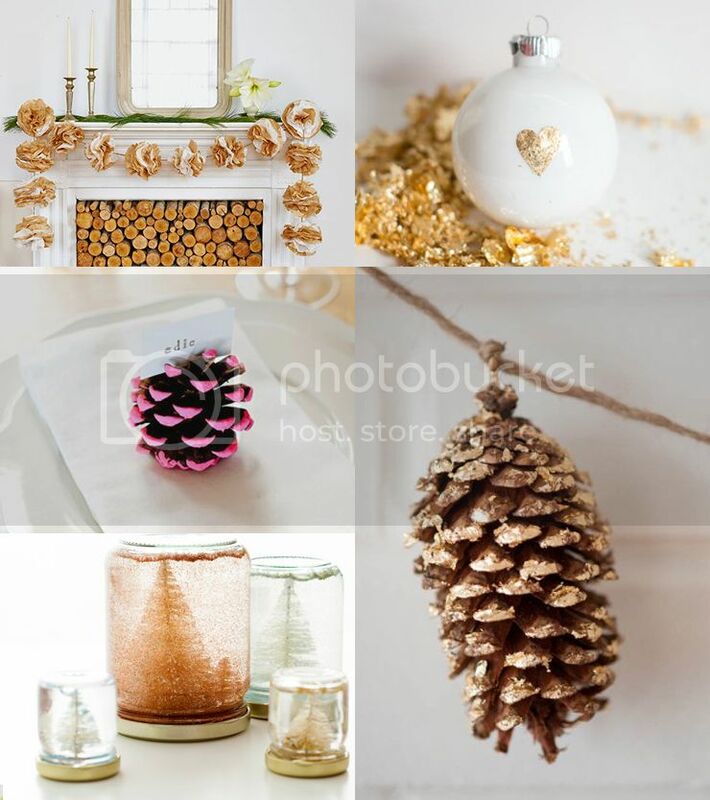 For today's post I just had to share a list of over 15 of the cutest and most gorgeous DIY Holiday Tutorials in home decor and beauty to brighten up the cold seasonal days! 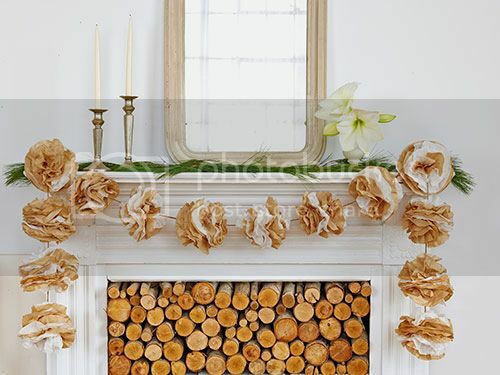 This gorgeous ruffled garland is such an eye catcher, I still can't believe its made out of coffee filters! This pretty gold crown is the perfect Winter accessory to make you look and feel like a Christmas angel! 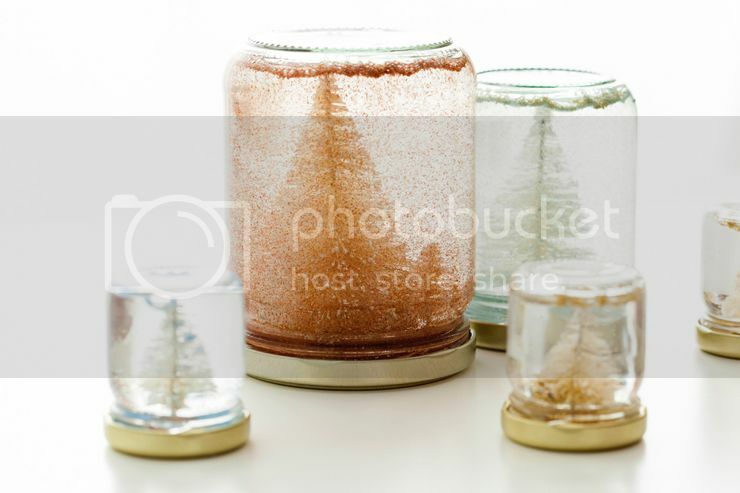 These adorable Snow Globes take about 30 minutes to make! 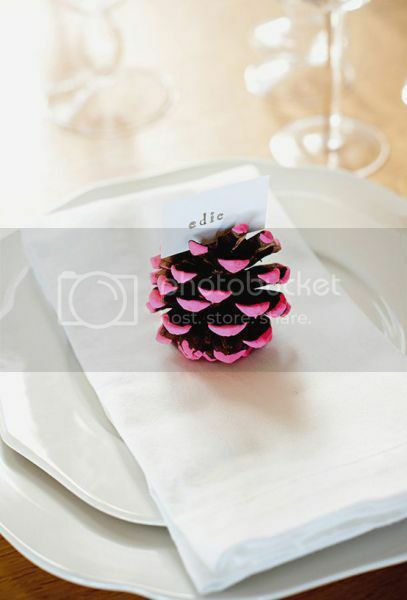 This little pine together with neon pink or metallic paint is perfect as a name sign or menu holder to host that perfect Christmas diner! 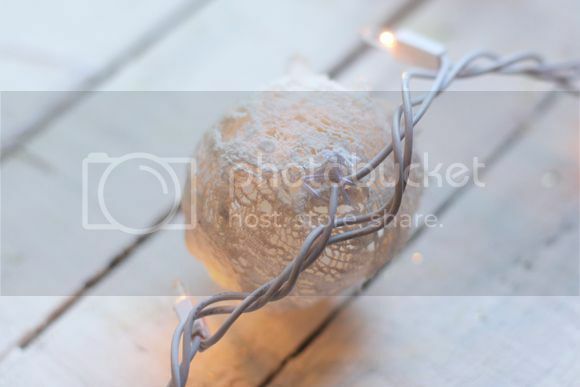 Deliciously cute and very easy to make are these tulle ruffled Christmas lights! 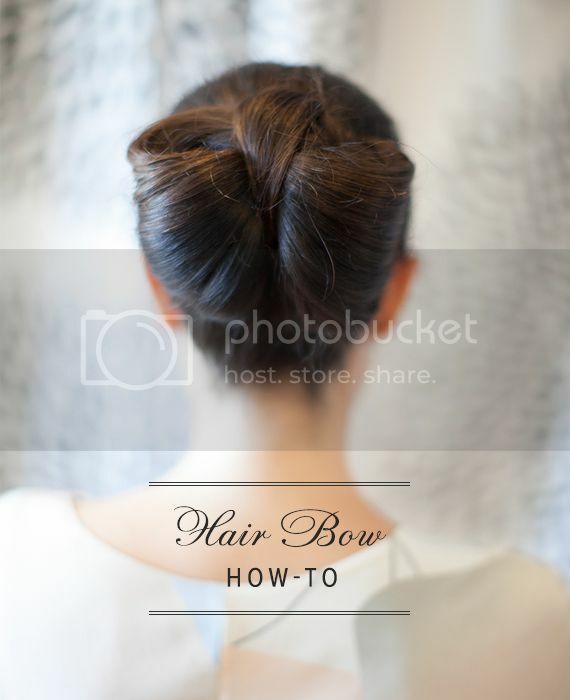 Such a beautiful Hair bow tutorial perfect for seasonal diners and parties! How cute are these? and how perfect for a Holiday cup of cocoa? Is it a diy? 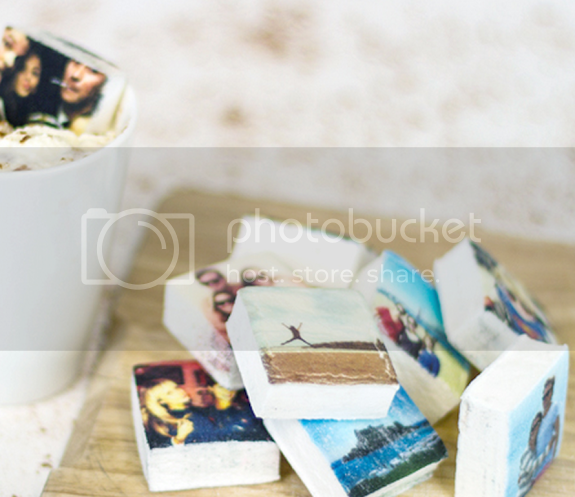 yes and no, you can order Instagram Marshmallows for aprox $20 for a box of 9, printed with your own instagrams of course. 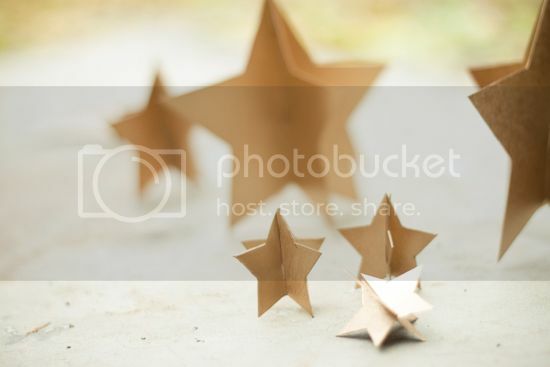 These lovely little stars are just too cute! 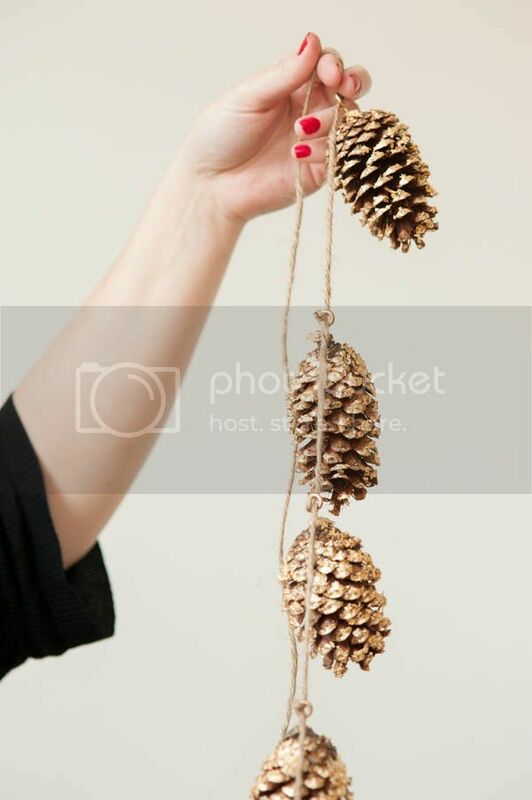 The golden pine cone garland is such a lovely and easy home decor diy for the Holidays! 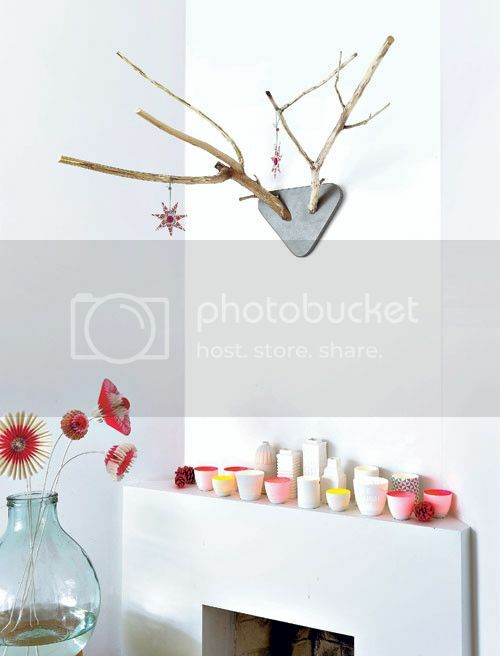 Simple branches with a few ornaments make for perfect holiday home decor Elk antlers! 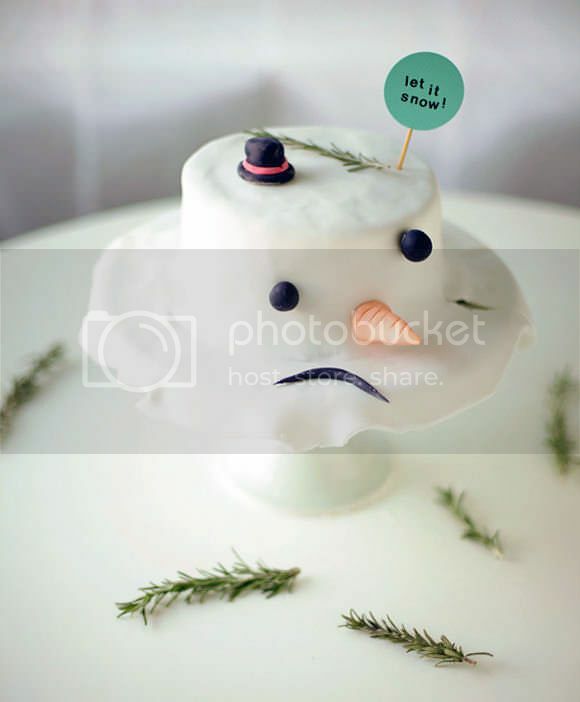 Oooooh Frosty... My favorite tutorial is a tad bit sad but also hilariously cute and perfect as a Holiday desert! 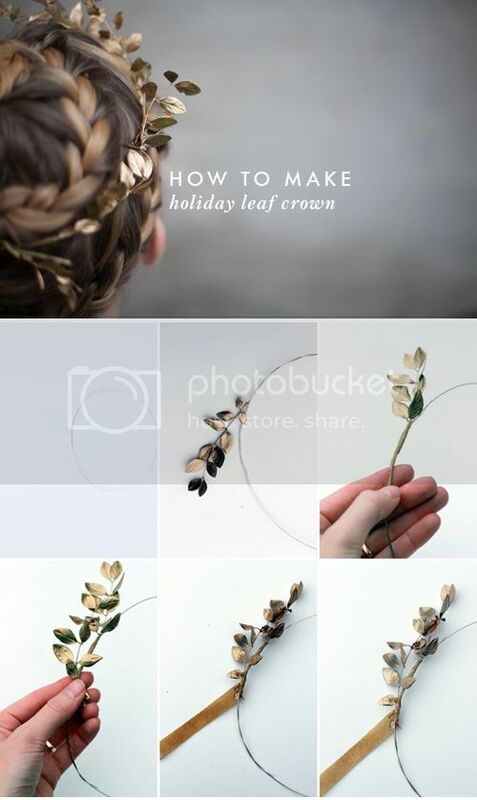 Gorgeous diy worthy inspiration! 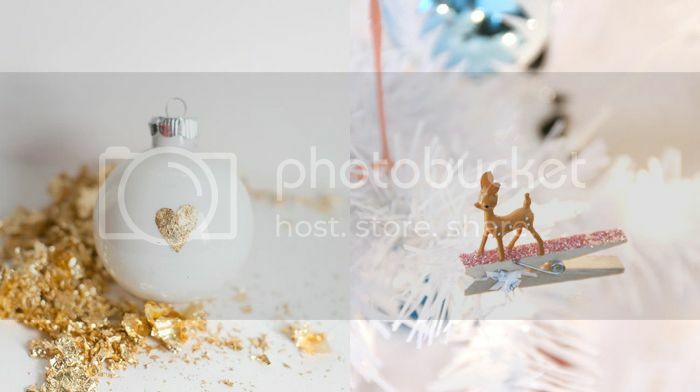 I just love the ornament and the wooden gift tags, both easy to do yourself! 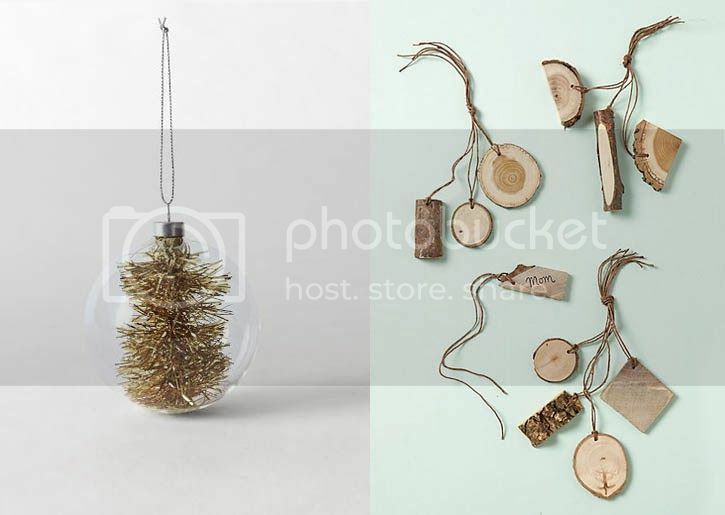 This post guides you to gorgeous diy Christmas Ornaments! I absolutely love the glittered, ombre glass and clothespin ornaments! and Oh, these paint splashed ornaments are totally worth checking out too! 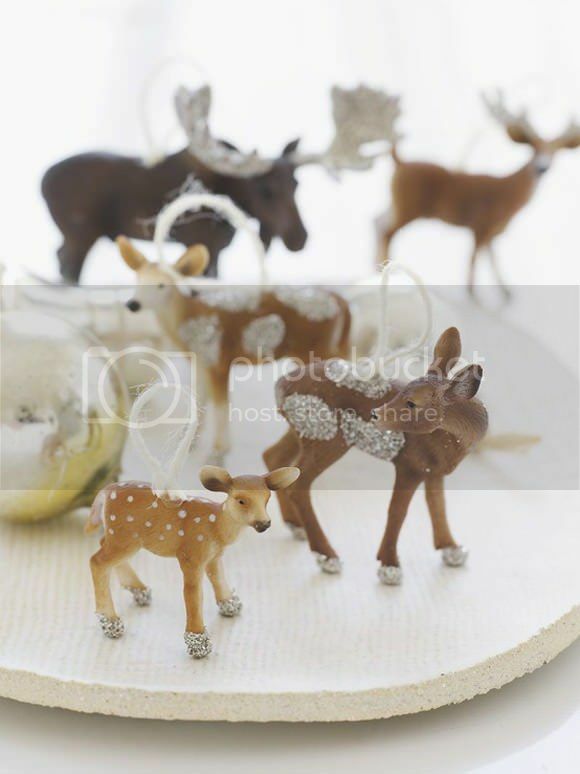 These little glittered plastic toys just became the cutest ornaments for in the tree or as table decoration! 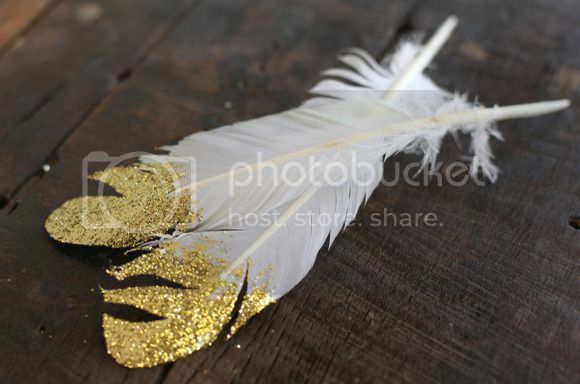 Leave it up to freepeople to come with delicious crafty holiday diy's, the lace twinkle lights are totally cute for all year round while the gold dipped feather mobile is perfect for a bohemian infused Xmas! 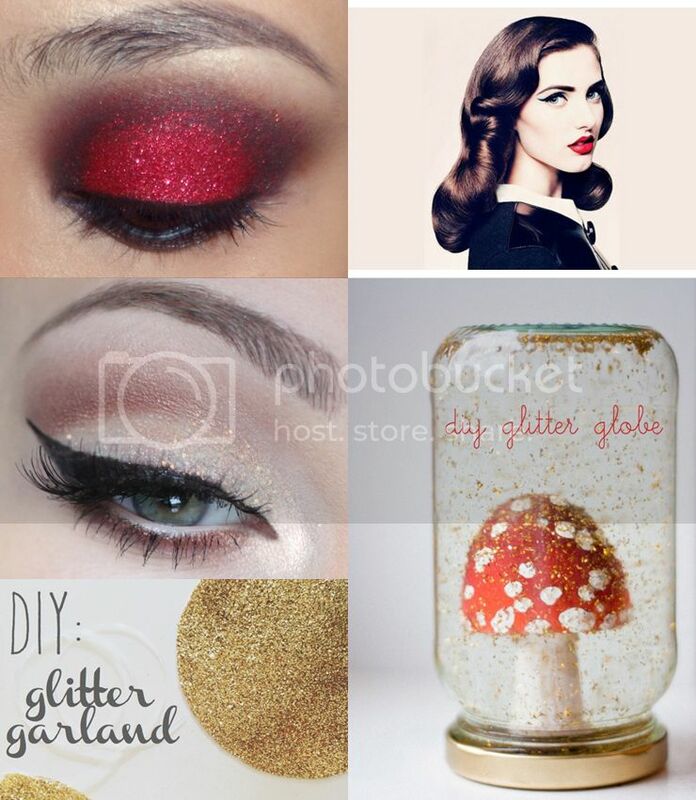 Last years favorite glitter and glam tutorials, still totally Whimsical Winter worthy!